The world map Shower curtain is brought to you by Croydex. Croydex is one of the UK's leading supplier's of shower curtains and bathroom accessories. 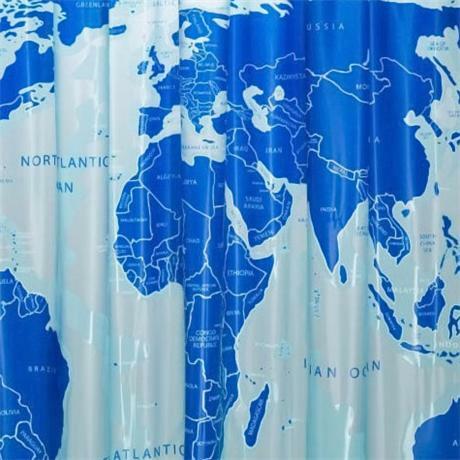 This product is made from a high quality PVC and is sure to add colour to your room with its various shades of blue in the world map design.